To understand what is happening in myeloma, it helps to look first at the bone marrow and the way it works normally. The outside of bones is very hard and dense, but the inner layer of larger bones, like the spine, skull, pelvis, shoulders and the heads of long bones, is made of flexible, spongy bone marrow. These are the areas usually affected by the symptoms of myeloma; the small bones of the hands and feet are not normally affected. 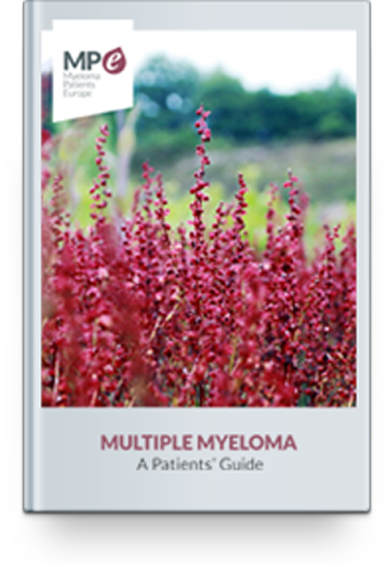 Because it affects many parts of the body, the condition is also known as multiple myeloma. 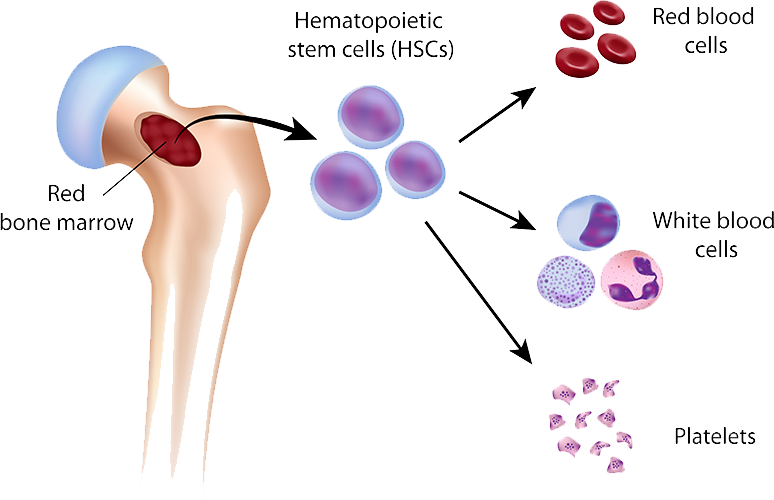 Bone marrow is the production site for red and white blood cells and blood platelets – the three main types of cells that circulate in the blood. One type of white blood cells are known as plasma cells. These produce antibodies (immunoglobulins) to fight infection, and are an important component of the body’s immune system. Antibodies are made up of two different kinds of proteins, called heavy chains (which are larger) and light chains (smaller). An antibody has a Y-shaped structure made up of two identical heavy chains and two identical light chains. There are five different types of heavy chains, called G, A, M, D or E; they are usually described as IgG (standing for immunoglobulin G), IgA, IgM, IgD or IgE. Your myeloma will be described by the type of heavy chain detected; IgG myeloma is the most common. The light chains are either κ (kappa) or λ (lambda).